Take a walk around any serious campground, mountain trail, or desert peak, and the only thing you find more often than over-prepared, S’mores-filled Boy Scouts are KEEN hiking shoes. Why? Because they're comfortable and they last. Any serious outdoorsman knows th ... (see full details) (see specifications) #1017833. Take a walk around any serious campground, mountain trail, or desert peak, and the only thing you find more often than over-prepared, S’mores-filled Boy Scouts are KEEN hiking shoes. Why? Because they're comfortable and they last. Any serious outdoorsman knows this. So when KEEN branched out and brought their American-built, anatomically correct comfort to the work world, we all took notice. These KEEN Men’s Coburg 1017833 Waterproof Steel Toe Work Boots are 8 inches of performance you'll never want to be without. Made by the same company that creates outdoor shoes that climb Camelback mountain a few dozen times, these Coburg work boots have all of the grit and determination you need from your work gear. Designed to keep things as light as possible, the uppers on these 8-inch steel safety toe boots are made from waterproof leather and textile material. Using KEEN.DRY technology, you'll have a performance waterproof barrier that draws sweat moisture away from your feet, pushing it out through the waterproof membranes. Meanwhile, moisture from the outside of your men's slip-resistant utility boots won't stand a chance at entering. With the classic KEEN style toe and heel guards, you have extra protection against wear and tear in these high-use areas. Padded collars and tongues support a great fit around your ankles, adding another layer of support and protection from twists and turns. Inside the waterproof steel toe boots, you'll also have metatomically designed footbeds made to contour to your right and left feet to give you support right where you need it most. The protective steel safety toe caps are also designed with this asymmetrical concept for safety toes that actually fit correctly. These men's Coburg boots meet ASTM F2412-11 and F2413-11 I/75 C/75 standards. The direct-attach PU midsoles offer a soft and sturdy place to land with every step you take, and the removable EVA footbeds are made to cushion and comfort. TPU shanks stabilize your every step with a flexible support your feet will appreciate. These men’s EH boots were proudly assembled in the USA (in Portland, OR to be exact). 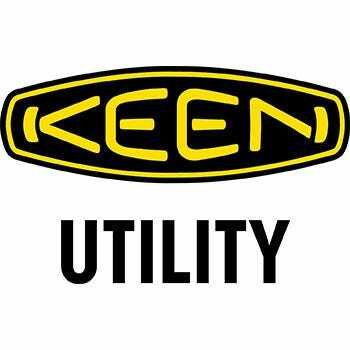 Their made-to-work slip- and oil-resistant rubber outsoles are made with KEEN.GRIP technology for traction that meets ASTM F1677-96 MARK II non-slip standards. Designed for medium duty jobs in wet or outdoor environments, these KEEN Utility Men's 8-Inch Coburg 1017833 Waterproof Steel Toe Work Boots from Working Person's Store have everything need from a company that knows comfort and grit. KEEN Utility Boots: Men's 8 Inch Coburg 1017833 Waterproof Steel Toe Work Boots is being added to your cart.